London, UK – 26th October 2016 – BCSG today affirmed its position as a market leader in the cloud services brokerage industry, announcing the latest version of its cloud service delivery platform. Implementing new systems can be complicated and time consuming – not this one. BCSG’s platform has evolved to enable service providers to configure and deploy a cloud application marketplace in just six weeks. The platform has a number of feature and functionality improvements that minimise the cost of both production and delivery, meaning service providers can bring a marketplace to life quickly and seamlessly. BCSG have been building unique, bespoke platforms for a host of global clients for the last 5 years. The platform’s latest developments have evolved from this long standing experience to optimise all the essential features that service providers need to bring compelling propositions to their business customers in record time. Implementing the platform, which works like an ‘out of the box’ solution, means service providers can bring a fully brand-able public marketplace to business customers, with dynamic and fully responsive product content, optimised registration and purchasing journeys. BCSG gives providers access to a catalogue of best in class ISVs and a full set of tools for assisted sales and customer support. Once the right apps have been selected, the provider can further customise the offering with a range of pricing and promotion options with leading payment providers included as standard. Beyond the core platform, the provider has the option to tailor the product further with access to an extensive set of services that allow localisation to different geographic territories across multiple OpCos, and comes with the option of expert GTM support, channel enablement services and full customer support. A recent study by McKinsey confirmed that telcos are one of the prime industries set to experience momentous digital disruption over the next 12 months. McKinsey advise that those telcos that take serious steps towards digitisation will be the ones to come out on top after the digital revolution. Partnerships are one way of achieving this step towards innovation. Collaborating with a third party means operators can focus on delivering adjacent ICT services and creating a well-defined value proposition that carefully targets a customer segment. Partnerships can help operators to both deliver digitisation for their business customers, and help them on their way to becoming a successful multi service provider. 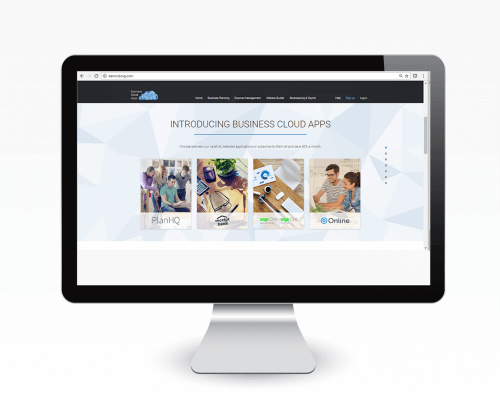 For more information on our platform features and how we can help you to implement your own cloud application marketplace, visit our platform pages here.